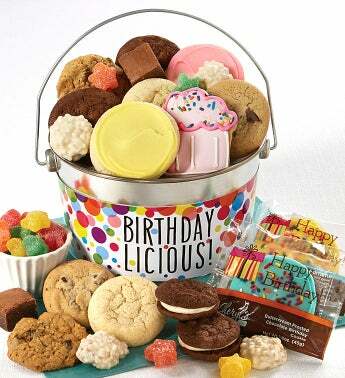 Our yummy buttercream frosted birthday cake, lemon burst and strawberry sugar cookies, snack size gourmet cookies, a hand decorated crunchy sugar cookie, snack size brownies, gummy stars and sweet and salty pretzel clusters are delivered in a shiny silver pail! 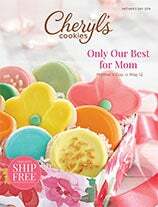 A sweet way to say Happy Birthday to all your favorite friends and family! 22 pieces.